Destiny 2‘s Curse of Osiris expansion launched a couple weeks ago, and players have already delved deep into it and uncovered a lot of cool Easter eggs and mysteries. One of those mysteries involved the Lost Prophecy quests, and now we know what happens when you complete all of them: you get a sweet Exotic Ghost shell. Once you complete all of Curse of Osiris’s campaign missions, all of Mercury’s normal Adventures, and one Heroic Adventure on Mercury, Brother Vance will give you a Lost Prophecy: Verse 1 item. Collecting enough items (for Verse 1, that’s a Concentrated Radiolarian Culture, composed of ten Radiolarian Cultures) allows you to complete the quest, get a Tablet, and redeem that Tablet for a Legendary weapon from the Forge. You can get more info on how to unlock the Forge here, and you can see all the weapons in the gallery below (ordered by Verse number). There are 10 different numbered Verses to complete, although you can’t finish them all at once. Vance only offers three per week, with the selection changing on the weekly reset. There’s also an additional eleventh Verse, which awards a powerful shotgun upon completion. It’s unclear how exactly you get this quest, but it appears that you must complete Verse 10 at the very least. Vance does not give out Verse quests in order, and from our experience, it is not necessary to complete all ten before getting the shotgun quest. Some players suggest that you have to finish half of the Verses, including Verse 10, to get the quest. In other Destiny 2 news, The Dawning began today on PS4, Xbox One, and PC and brings a holiday makeover to the game. You can participate in snowball fights, get new gear, and check out the festive decorations in the social space. 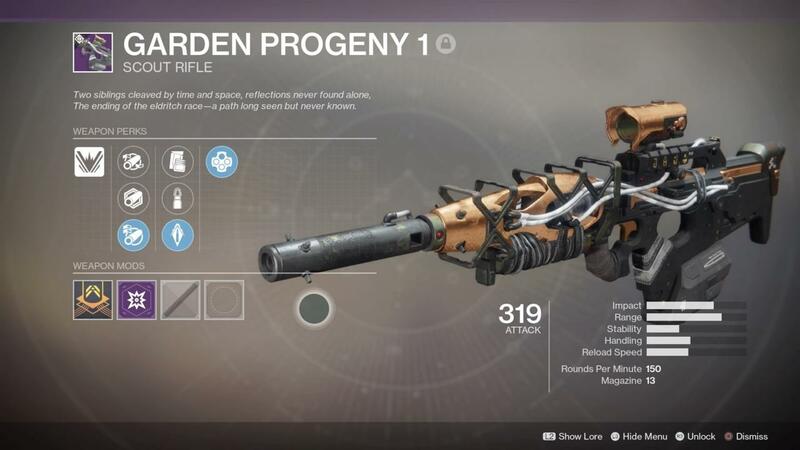 Bungie has also recently detailed upcoming changes to both the Three of Coins buff and the Masterworks weapon system. Tagged Cool, Exotic, Ghost, Here's, Shell, ‘Destiny’.